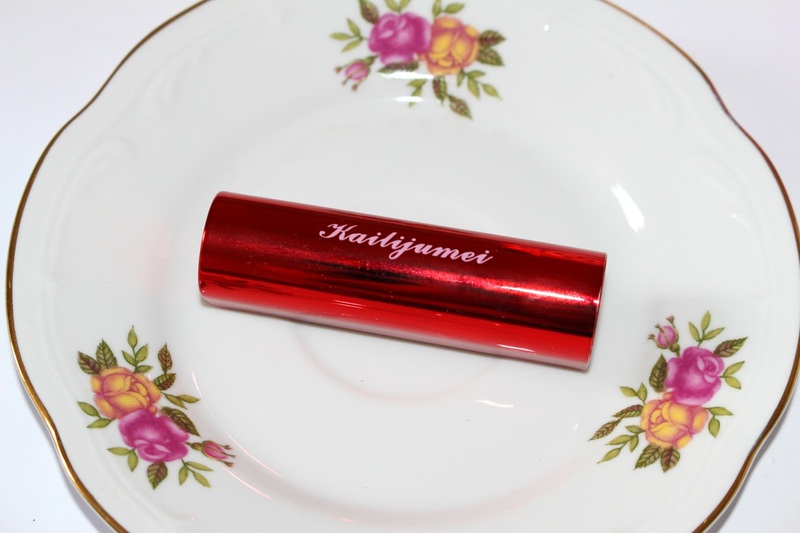 It's been a little while since I posted an in depth musing so if you're interested to see why I'm ripping apart wedding days, sit back, grab a cuppa and let's begin. This is supposed to be the best day of my life you b*stard!!! A cursory glance showed me an anguished bride enraged about a hot air balloon caper and it got me thinking... Is your wedding day the best day of your life? Now I don't wish to offend any of you who disagree, I know many of you will have loved your wedding day and will firmly remember it as the best day of your life (and that's great, we're all different and we all have different experiences) but here's why I don't go all hearts and melting about wedding days. Well Laura had a stately home and doves so I'm going to have a castle, a horse drawn carriage, a veil made by blind virgin nuns and a talking unicorn at my wedding, wait till Laura sees the pictures! Laura, of course, isn't invited due to the fact that she slept with the brides ex boyfriend eight years ago when they'd only dated for three days when they twelve anyway. Then there's the expectation, the knowing that your dress better be flipping amazing and licked on by kittens because if not, you know the cousins you didn't want to invite will be secretly whatsapping pictures of it with bitchy little captions before you've even had the chance to say "I do"
THE BEST EFFIN' DAY OF YOUR LIFE!!!! So is it all worth it? Personally I don't think so because although my wedding day was ok, I'm not a party person, I didn't want to make small talk I wanted to eat that chocolate cake! I can happily say my wedding day wasn't the best day of my life, the real best days of my life have happened way after my wedding day, the best days of my life have been amazing times I've spent with Mr Sparkles (and more recently, Baby Sparkles) and when I look back on days that have left me with the happiest memories they've been days that involved just the two of us (or three) when I've not had to put on a show and entertain everyone because I'm led to believe that will be the highlight of my existence. I sometimes feel that this pressure stems back to the days when a woman's whole point in life was to secure herself a fella so that she could obtain the respectability that came with being a married woman but seriously, don't fall for it, marriage should be about two people committing to spend their lives together, to respect one another equally and to enjoy the good things that life has to offer whilst pulling each other through the bad times. If you're a party person, if you've been dreaming about your wedding since you were five years old and you've mentally been picking invite themes since your teens then perhaps a big wedding is for you, maybe it will be the day of your dreams. I never dreamed of weddings, I didn't care about dresses and castles, I never wanted to be a princess for a day. I dreamed of having freedom as a grown up, I dreamed of the house I'd have and of the children I might have, the lovely husband who was my best friend but I never stopped to think about the day I'd become a wife, just the aftermath so if you're like me, you're not a party person, if you don't want to spend close to a years wages on one day and if you found your wedding left you feeling a little underwhelmed, don't stress because the best days come after. Like when you buy an Xbox one Christmas and spend all day together laughing enjoying being detectives on the L.A. Noire game you picked up. Or the day you go to IKEA and buy ALL OF THE STUFF for your first home. 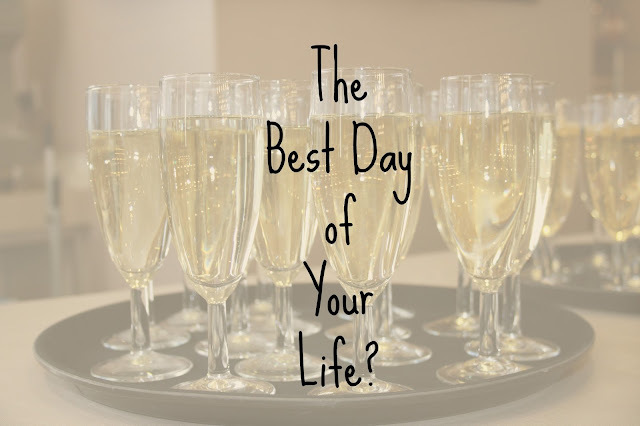 The day you laugh till you cry when a frog jumps on your husband's leg when he least expected it or the day you stand there holding your positive pregnancy test waiting for him to get home from work so you can show him the exciting news. Those are the real best days. Are you planning a wedding? Are you already married? Was it the best day of your life? 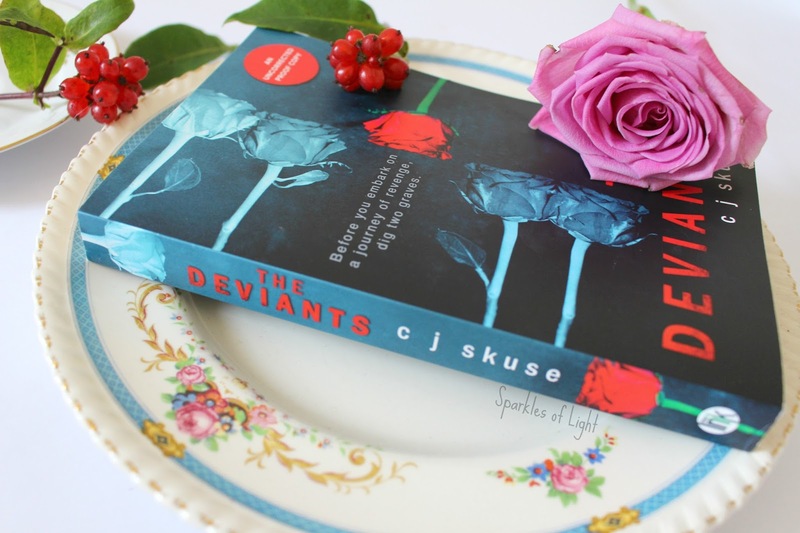 I'm back with another book review and today we are talking about The Deviants by C.J. Skuse - a YA Thriller that is being released on the 22nd September in the UK. As much as I love the thriller genre (see my YouTube Channel which is pretty much exclusively book reviews and storytime videos) I have almost exclusively read adult fiction, but, when I heard about The Deviants, the story sounded really exciting and I found myself settling down to read my first YA Thriller since my early teens, and let me tell you, it was well worth the wait. THEN Ella, Max, Corey, Fallon and Zane. The Fearless Five, inseparable as children growing up in a sleepy English seaside town. But when Max's older sister is killed, the friendship seems to die with her. NOW Only Max and Ella are in touch, still best friends and a couple since they were thirteen. But Ella is hiding things - like why she's afraid to take their relationship to the next level. And when underdog Corey is bullied, the Fearless Five are brought back together again, teaming up to wreak havoc and revenge on those who have wronged them. But when the secrets they are keeping can no longer be kept quiet, will their fearlessness be enough to save them from themselves? This was everything you could want in a thriller, thought provoking and diverse characters, a gradual building of tension and an ending that you don't see coming, The Deviants is a bit of a modern day 'The Famous Five' by Enid Blyton but with much gritter issues, darker threats and main characters that aren't clear cut, whiter than white 'good guys'. I found that I shed more than just a polite tear whilst reading this book, truth me told, I spend the whole end portion of the book ugly crying, you know the face... it's the one you never see in Hollywood movies unless the character is a bit of a tragic mess... That was me. The Deviants is a fantastic read and one I can't wait to read again and I'm pleased to report it was another great 5/5 stars for me, it was so good that I had a house guest for a week and I forced her to spend time alone to read this book so that I could rave about it to someone in the know, at first I think she thought I was trying to tell her she had outstayed her welcome but by the end of it (whilst she also had a good cry) she was as converted as I was. 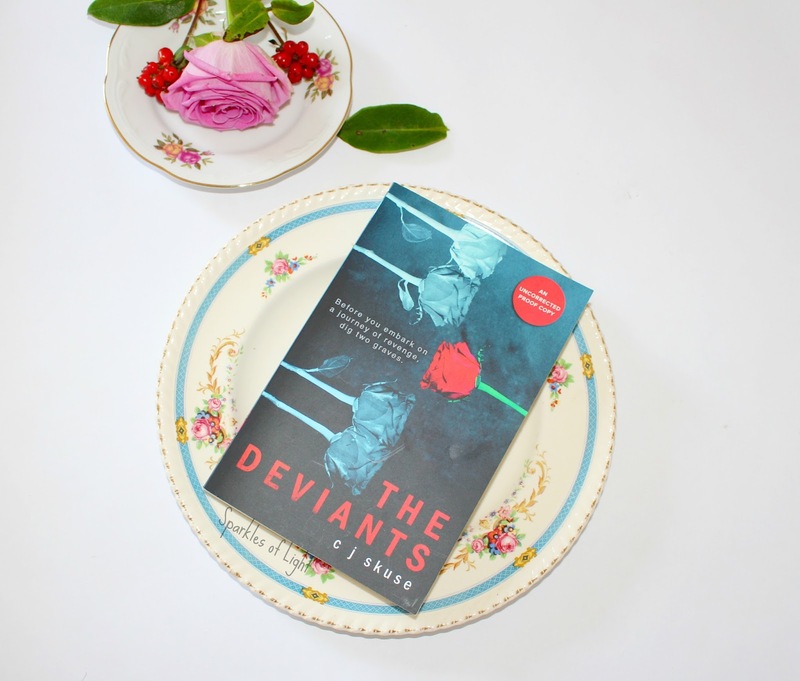 I have no clever punchline, all I have is the firm belief that if you enjoy a bit of a mystery, a tale of true friendship overcoming all and a book that will stay with you long after you close that final page, read The Deviants. Let me know if you're picking this up when it is released on 22nd September. Book was sent free of charge, all views are my own. 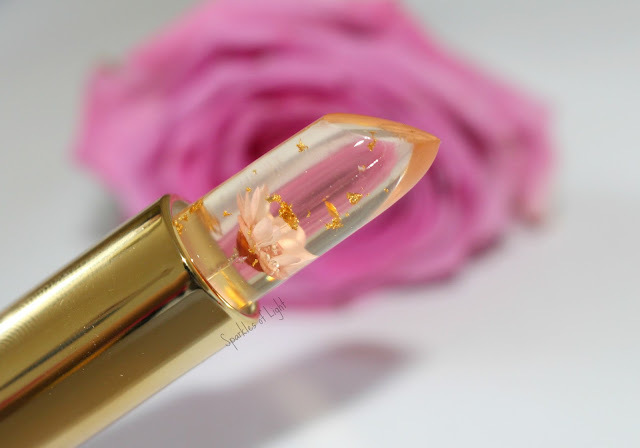 This really is the stuff of makeup dreams, a lipstick with a little flower inside alongside flecks of gold. 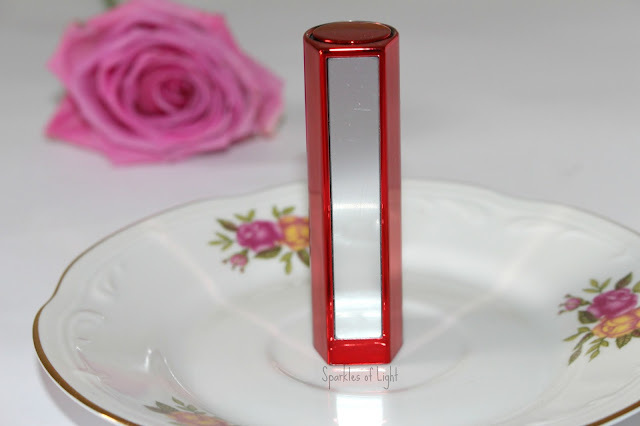 The outer packaging is a little unusual, a bright red cylinder with a finish that reminds me of a Christmas bauble (I would personally have preferred something gold or black but that's just my personal preference) and each lipstick compact has a little side mirror for application. 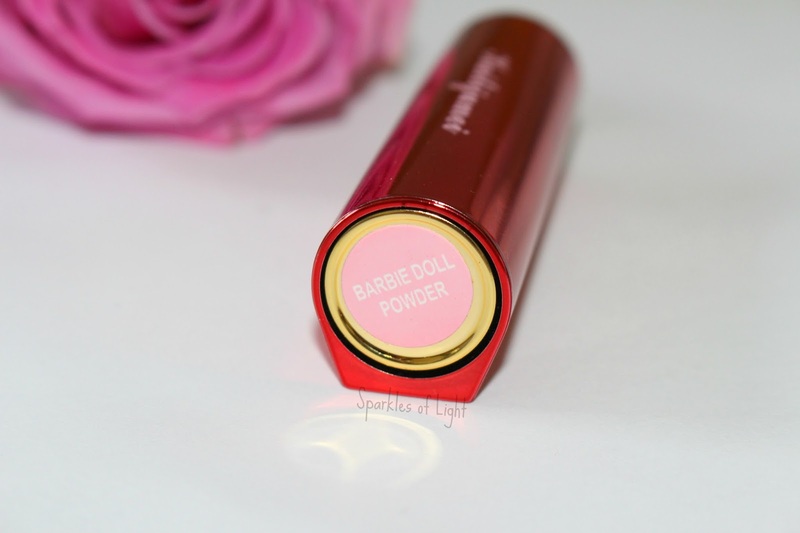 I ordered the colour 'Barbie Doll Pink' on the website but when it turned up, the bottom insists it is actually called 'Barbie Doll Powder' either way, I'm finally living my Aqua dream and can finally agree that I too, am a Barbie Girl (if you're too young for this reference then just move on and pretend I didn't granny myself). 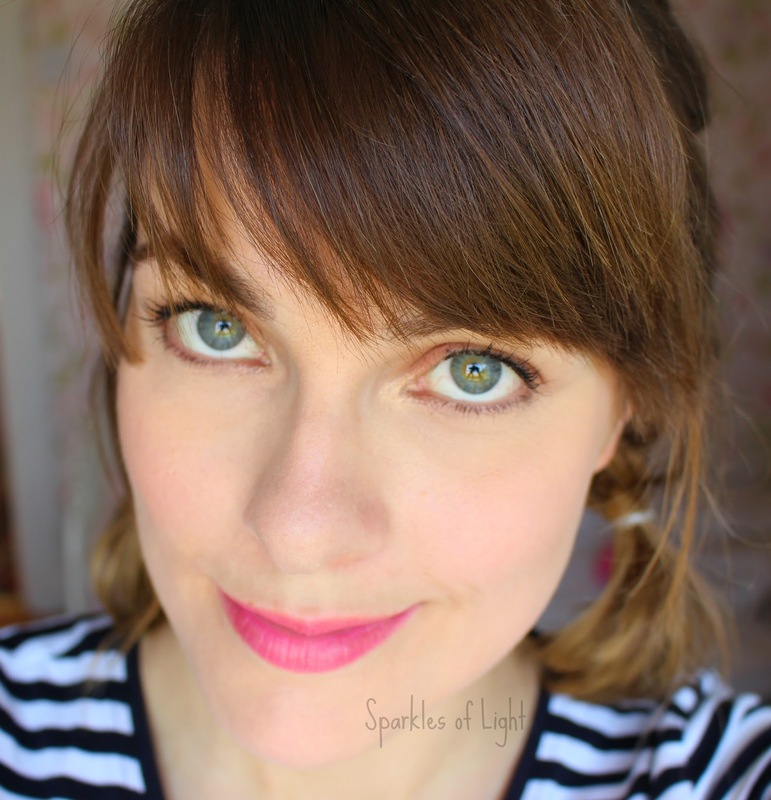 I wasn't expecting much from a clear lipstick in terms of pigmentation but I was very wrong, in one sweep I had a pink pout and the staying power was pretty impressive, it is almost like a lip stain and not a lot seems to remove it - you've been warned. 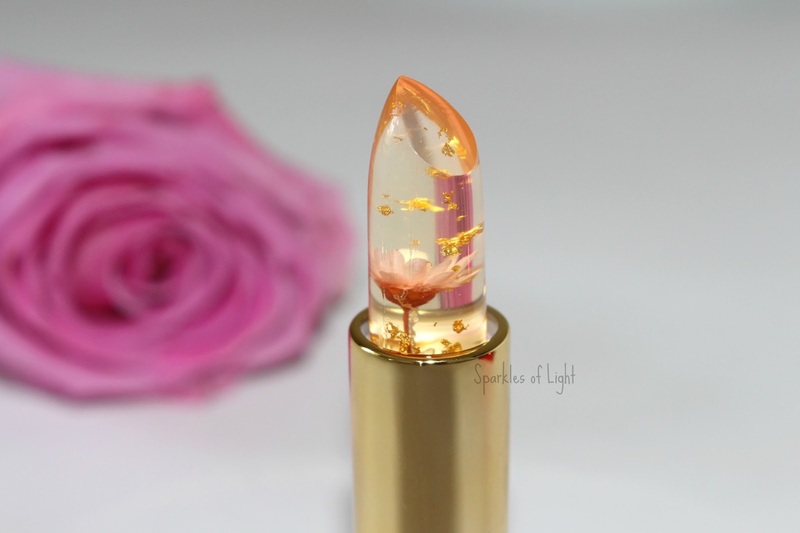 But all the niggles aside, this is a gorgeous product, pigmentation is fantastic and if you collect makeup, what is more beautiful than a lipstick with an actual flower inside? What do you think of this stunner? Will you be picking one up? 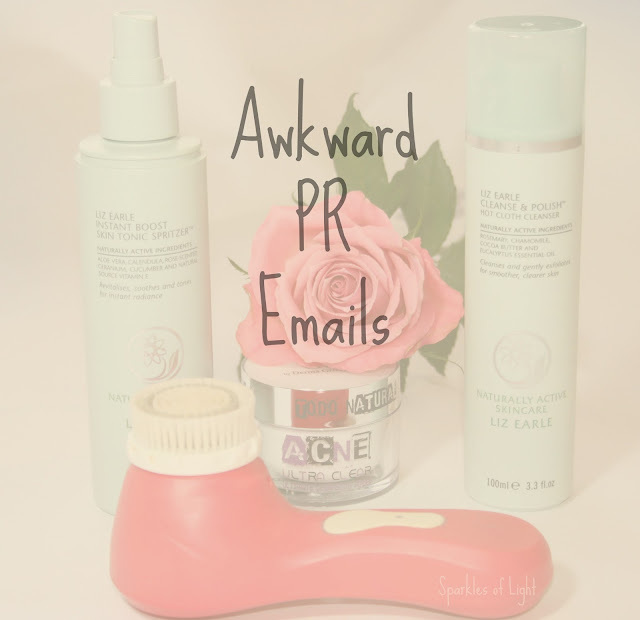 Today is a fun post, not meant to cause any offense as always but hopefully this will lift the lid on some of the strange PR emails that bloggers receive daily. Major disclaimer, 99.9% of PR people I've had the pleasure of working with have been lovely individuals and I'm fully aware that most PR people have had to deal with some very difficult and rude bloggers too, where there are people, there will always be the occasional bad egg on either side. So without further ado I'll kick it off with the less severe and more amusing emails building up to the company of doom... The Mr Hollywood. All company names have been changed but real emails have been used. These types of email flood in daily, easily recognisable by the invariable lack of any knowledge about you or your blog. They either get your name wrong or refer to you as 'Dear' and have no idea what sort of content you write. We would be grateful if you could make this a follow link and we will promote 10 of the best blogs on our newsletter so if you're lucky you could be chosen! Let me know when your post is live. Now... where do I start, Deborah? Firstly I'd like to know who Hannah is because I've certainly never met her... Also, and this is awkward Deborah, but I'm as crafty as cheese in a blender, it ain't happening love. Now Deborah... May I call you Debbie? Debbie, as I'm sure you know, asking people to use follow links is a no, just look up Google rules, familarise yourself love. Finally, did you really just ask me to come up with 16 (bizarre number Deb but let's roll with it) card designs and then pray you like the hours I put in it to be featured in a newsletter I'm pretty certain doesn't exist? For shame Debbie, For shame. My name is Colin and I work for Money Monsters Inc and we really love your writing style, we would, therefore, like to extend this fantastic opportunity your way. Our 'Amber Gem' pendant retails for £165 but we are willing to offer it to you for just £140 in return for a post with links to our 'Gem Pendant' page. As you can clearly see, this is a rare and exciting opportunity and we eagerly await your decision. Erm, Colin... did you really just ask me to blow my monthly food allowance on a pendant I don't actually want or like and promote you for the privilege? Just think about that Colin and get back to me, yeah? This has only happened to me once but it was pretty weird. Yeah... That was the email, I emailed them back to ask what the malfunction was and they never responded... Least they got my name right though, eh? This is up there with the worst PR email I've ever had although it has been knocked off the top spot by the email you'll see at number 5. We have noticed you liked one of our posts on Twitter (Side note, it was a motivational quote I liked) and after taking a look at your blog it is clear to us that there is work to be done, your writing style doesn't flow and your pictures are of an inferior quality combined with your low social following, leads me to inform you that you just aren't big enough to work with us yet, however, you may still purchase from our web site and should you publish an outfit inspiration blog with our products we will remember your loyalty and one day you may be big enough to apply to work alongside us as a blogger of merit. Well... This is awkward isn't it, I never asked to work with this company, I simply liked a post but to me, this is like smiling at someone's baby in the street only for them to follow you home, knock at your door, tell you your outfit is crap and punch you in the throat. Not cool. I never purchased anything from this brand and never would after such an unsolicited dressing down, plus I have more followers than them now so who's laughing these days. (Me... That would be me). This is by far the worst email sequence I've ever had and is too long to put all the emails back and forth here so here is the back story. Back in the early days of blogging, I was approached by a skincare company who wanted me to post an 'honest' review of their products. As I've already said, I didn't know that turning down products was a thing and I also didn't know that it wasn't common practice for a company to demand to see your post before it was published and that they aren't supposed to try and dictate what you write... Yeah. So long story short, I received 7 days worth of skincare (which, as we all know, isn't really enough to give an honest opinion), I tried to formulate a review and stated how long I'd been using the product, how it performed and I compared the company I was reviewing being dictated from, to another company who is much more well known. I sent my review back to the fuhrur company and in return I received an email longer than my Sephora and Amazon wishlists combined. It makes no difference if you used the skincare system for a week, a month or a year! The results won't change and you only had a reaction because you aren't used to the intensity of the natural ingredients! Comparing us to *Company Removed* is like a slap in the face to be honest, we use much higher quality ingredients than they could even imagine having under their belt! You need to remove this disgusting comparison from this review unless you'd like me to personally see to it that you don't work again within this industry. I mean, this email speaks for itself, I'm not sure how a company (even a shady one that wants you to post lies) can stop a person writing what they fancy or shooting videos and uploading... This ain't Hollywood pal! 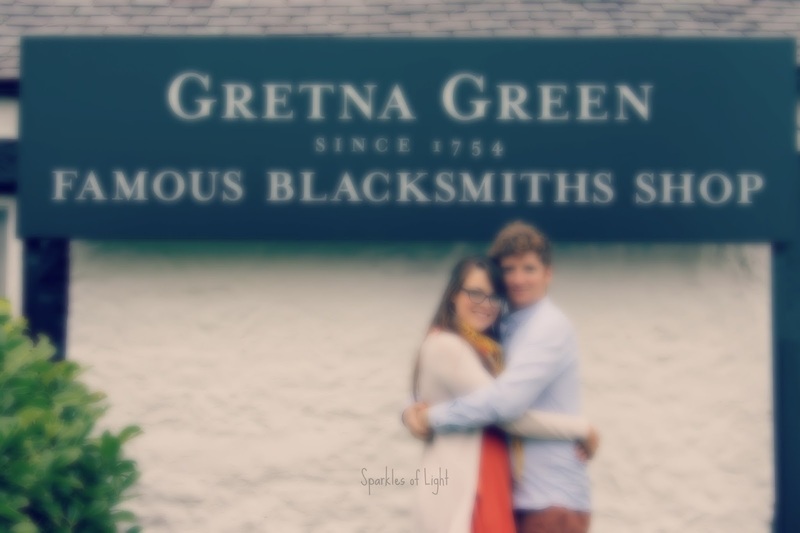 All jokes aside, there isn't much else to say about this company other than to offer a slow round of applause for being the shadiest company I've come across in the 3-4 years I've been blogging. So that brings us to the end, if you're not a blogger, I hope you still enjoyed this post and if you are a blogger, let me know if you relate to any of these.